DiNardo Painting offers basement waterproofing services to residential and commercial property owners throughout the Hartford, New London County areas and beyond. 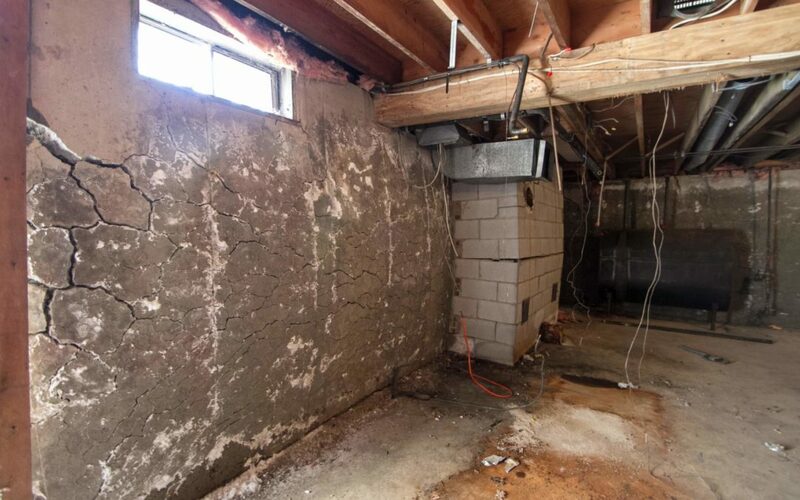 Some of the basement waterproofing services that we perform included repairing leaking basements, foundation and crumbling concrete repair service, removing mold, and more. Our team of basement waterproofing contractors have been repairing basements throughout the New London area for over 20 years. Understanding the warning signs of a damaged or compromised basement and hiring a professional foundation repair company to locate and fix the problems early can save you a great deal of money and stress for future repairs. If you have noticed water accumulation or mold/mildew buildup or if your foundation is chipping/flaking, the problem will only become greater and more costly over the coarse of time. DiNardo Painting’s expert basement waterproofing services will ensure that the problem is remedied and give you the peace of mind knowing that your foundation will be safeguarded and your basement protected. DiNardo Painting posses the knowledge and capabilities to provide the greatest basement waterproofing services at affordable pricing to New London area residents. Our professional basement waterproofing technicians understand the most effective waterproofing measures to take and will create a customized strategy that will effectively protect your basement while staying within your pre-specified budget. If your basement has not yet been waterproofed, the the potential for your foundation being compromised and extensive damages to your basement occurring are a great possibility. Many New London property owners will delay hiring a basement waterproofing contractor because of the inconvenience or costs associated with the problem. However, the costs and time associated with repairing future damages will create an even greater inconvenience and strain on your finances. If you are looking for the best basement waterproofing services in the New London area, you can contact DiNardo Painting today at (860) 961-6280 to schedule your no-cost consultation and estimate!